As people get older, it’s likely they’ll experience at least one dental problem. Unfortunately, this can include losing one or more teeth. The common train of thought is to get dentures when this problem sets in. However, if the idea of dentures sounds unappealing to you, the alternative could be getting dental implants in Richmond. At Sheen Dental Implants, we’re a local, approachable and welcoming team offering patients implants at our clinic. We offer different methods or treatment to suit everyone. 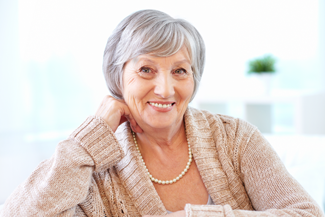 You may have heard of dental implants, but not know what they are. A dental implant is a safe way of getting an artificial tooth. The implant is a screw that fits into your jaw, which one or more artificial teeth can be attached to. We welcome your inquiry if you’re interested in getting dental implants. In Richmond, we can offer an implant to suit your needs, whether you have a single missing tooth or multiple teeth. As a private dentist that can provide dental implants in Richmond, our staff have the knowledge and experience to give you the right implant. There are a few techniques used to insert dental implants in Richmond, which have been developed to suit patients needing a single implant or multiple teeth replacements. The technique used also depends on other factors, such as the health of your jawbone. This is used when a patient doesn’t have enough bone in their jaw for the implant to go into. Artificial bone or bone taken from another area is used to fill in the gap, so that the implant can be inserted. Alternatively, bone graft material can be added to a sinus cavity to allow for more density. This involves getting both the implants and the teeth fitted in the same day. This technique is common for people with multiple missing teeth or patients who’ve been wearing dentures and would like to change. Sometimes, there’s not enough space on the jaw for an implant. In this case, the bone can be widened to create more width and density in the jawbone. Once the result’s been reached, your implant can be placed. This entry was posted in Dental Implants on 11th February, 2019 by Sheen Dental Implants. Copyright © Sheen Dental Implants. All rights reserved.